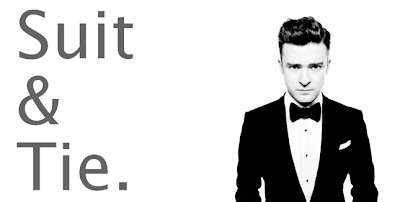 SnapCacklePop: Justin Timberlake delivers new single Suit and Tie..! Justin Timberlake delivers new single Suit and Tie..! Hot off the press, this is the new Justin Timberlake song Suit And Tie from the singer third studio album The 20/20 Experience. Full of snare drums, trumpets and Timberlake’s trademark vocal style this Motown inspired number has guest hip-hop rapper Jay-Z. The track was written by Justin Timberlake, Timbaland, Shawn Carter, Jerome “J-ROC” Harmon and James Flauntleroy and produced by Timbaland, Justin Timberlake and Jerome “J-ROC” Harmon. It’s a pleasant enough track, once you get pass the awful intro, yet not ground breaking and doesn’t compare to his previous edgy lead single’s Like I Love You or SexyBack at all. Take a listen for yourself and let us know what you think. The 20/20 Experience is due out later this year..!